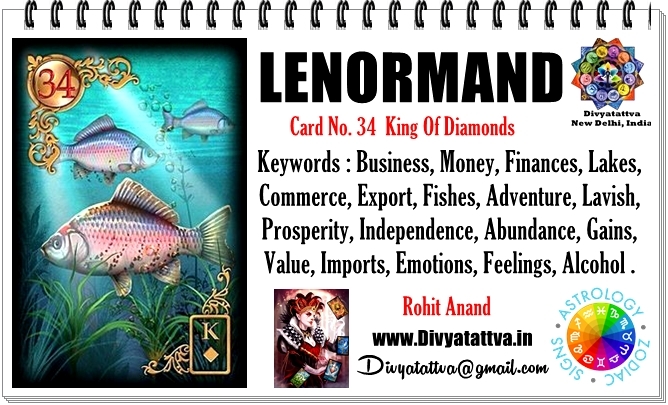 Lenormand Card Fish Meaning, Lenormand Fish Card Description, Fish Lenormand Card interpretation for love, health, money, business, time and Lenormand Fish Card Combinations by Rohit Anand, New Delhi, India. In Lenormand fortune telling cards, the fish card generally represents money. Its card number is 34 and is represented by king of diamonds in cartomancy. When this card usually comes up in the lenormand spread it usually indicates all matters related to finances, alcoholism, business. But meaning of card gets altered accordingly with the cards adjacent in the spread and in layout you are having. This card shows people with financial dealings, revenue, work or commerce having successful business gains together when surrounded by positive cards. General Keyword for Lenormand Fish Card: Business, Money, export, import, overseas, Alcohol, inflow of income, streams of money, finances, ups and downs, gush of feelings or emotions, lakes, fishes, water bodies, flowing water. Leanormand Fish card meaning in Love & Relationships: Gush of feelings and emotions, deep connection with a romantic partner. Lenormand Fish Card meaning In Health : Body parts that denotes are kidneys, gall bladder, dehydration in the body, water retention (swelling), fertility issues, sperms, alcoholism, dizziness, loss of balance and health insurance. Lenormand Fish Card meaning in Career, Job, Work or Business : Shop, Place of Business, Import Export, Merchant navy, financial company, , money lending, wholesale dealing with fishes, fisherman, coast Guard, sushi chef, selling sea foods, stock markets, entrepreneur, alcohol shop, marine biologist . Lenormand Fish Card meaning in Money & Prosperity : Streams of money, finances,profits, gains. Lenormand Fish Card Meaning in Spirituality: Developing intuition, purification , deep meditation, cleaning auras. Lenormand Fish Card meaning in Time : 4 years, Februray/March or month of Pisces or it can also be time of growing moon. Lenormand Fish Card meaning in Physical Attributes: Broad shoulders, wealthy, independent, dark hair, attractive, successful, business minded. Lenormand Fish Card Color : Blue or sky blue. Lenormand Fish Card meaning in Zodiac Signs : Taurus zodiac and planet Venus. Lenormand Fish Card Quality & Orientation : Positive card. Cartomancy: The Lenormand Fish represents the King of Diamonds. 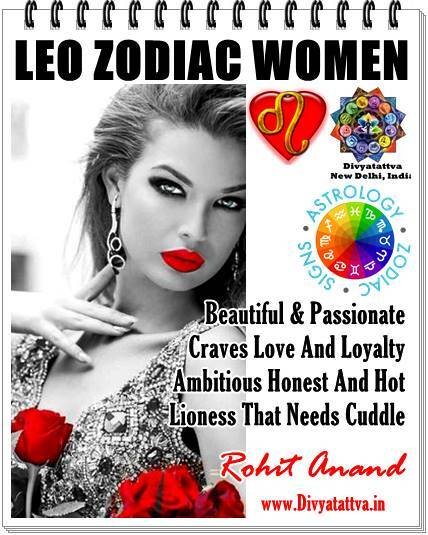 It describes a powerful person who is financially secure and successful, determined and firm. It also relates to work and business matters with regard to his profession. The meaning of a Lenormand of Fish card in a reading depends upon the following factors for accuracy i.e. : possible different levels of layers of meanings adopted for the card by the lenormand reader, context of the question asked by the querent, position of the card placed in the spread and other cards around and in the spread. 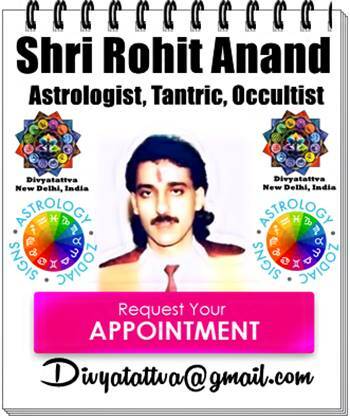 Get your own lenormand consultations, predictions, lenormand card readings, lenormand Yes or No card oracle reading from Shri Rohit Anand online, email or on skype.